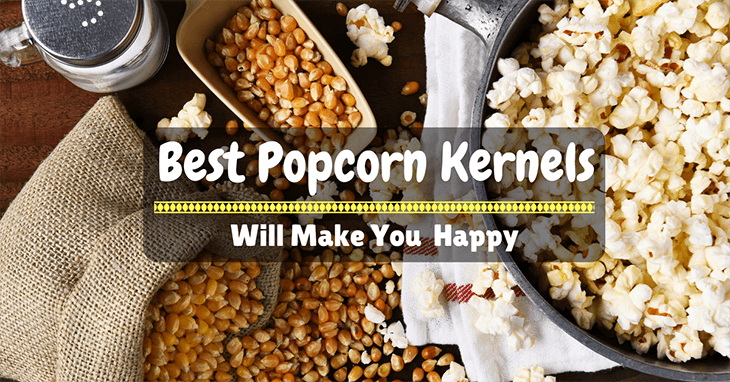 5 Best Popcorn Kernels and #1 Is Flavored To Make You Happy! 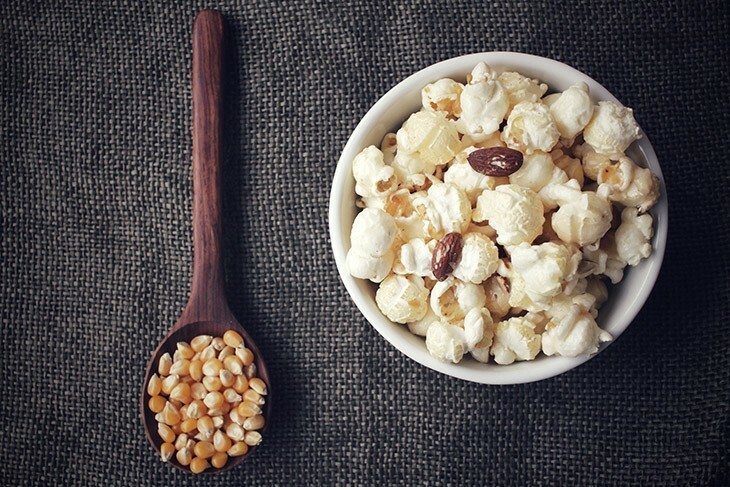 →5 Best Popcorn Kernels and #1 Is Flavored To Make You And Your Friends Happy! 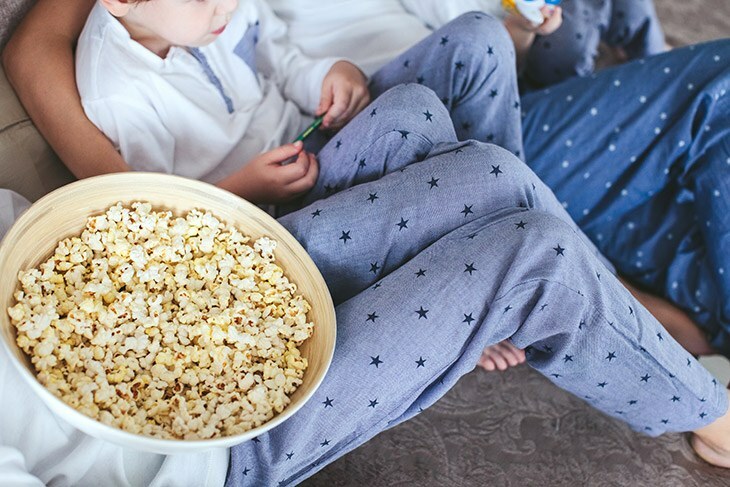 Any form of entertainment, may it be watched in a movie theater or just in front of your favorite couch, can reduce to, well a less entertaining experience, if your prepared bag of popcorn turns out to be either a half-popped failure or worse, a burnt mess. And out of respect for you and your avid friends, it is just appropriate to always look for the best popcorn kernels there is in the market now! And if you’re in a deep search to get the poppiest and the tastiest bag of kernels, consider this article as your quick guide. I’ve painstakingly outlined just the best popcorn kernels that should very well meet your needs. In our discussion, we’ll also briefly cover the key factors to consider when choosing the freshest and finest popcorn kernels. Also, we’ll tackle the options you need to keep in mind should you decide to make your popcorn on the stove or in a microwave. So, just how do you spot freshness out from a package of popcorn kernels? Earlier, this question was even too daunting for me to comprehend. But once I took the time to examine some of the signs I needed to focus on, I was finally able to wrap my head around it. I’ve been told that the fresher the kernels, the more flavorful your popcorn should be. However, the general rule is, as long as you’re buying or ordering small batches, chances are that your popcorn shouldn’t have any issues with freshness. 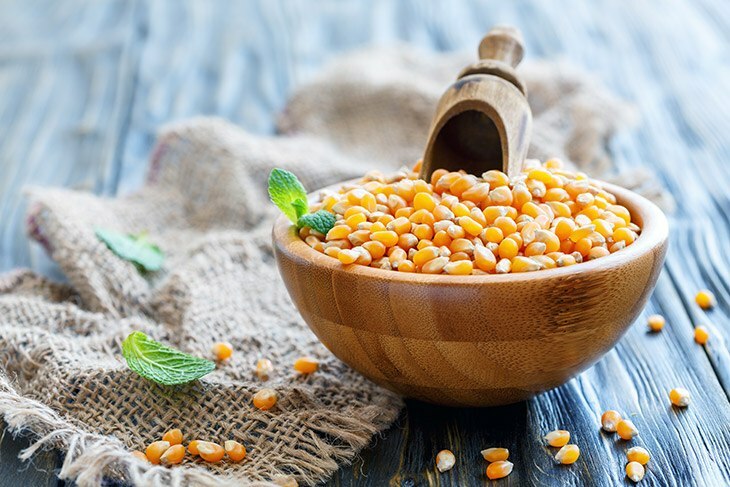 Meanwhile, ordering in large batches or bulk may create some issues with it as leftover kernels can become stale and waste your money in the long run. As such, ensure that you estimate how much you’ll be able to consume and calculate which time frame you intend to finish the popcorn kernels. Also, fresh products most often come and shipped in an airtight container — an assurance that your popcorn is fresh and has that airy taste everyone is craving for this snack. When you’re trying to decide which type of packaging you must choose for your popcorn kernels, you have to know first the size of batch you’re feeding on and the appetite they’d usually come with. So, when your batch is a bit smaller than you’ve anticipated but comes with a large appetite, you might not want to opt for a re-sealable container. On the other hand, if you’ve grown accustomed to ordering in bulk, but the batch is notorious for not finishing it off all at once, you should consider the re-sealable option. Meanwhile, if you plan to buy these kernels from your local store, it is always wise to bring your container. Go for a mason jar when you go for this alternative. This type of jar should work well in keeping your kernels fresh and dry until a certain occasion when you need to pop them out. I especially frown when I get to notice hulls lurking in my retainers right after an occasion filled with popcorn. And if you’ve dentures, this could turn into a total nightmare. The same goes for those who deal with diseases such as the Irritable Bowel Syndrome and Crohn’s. But much to the relief of these consumers, almost all major brands now are retailing hull-less popcorn kernels. And you know what, hull-less is the way to go if you want some candy coating for your popcorn! Gone are the days when most consumers think that spraying some shady cheese dust on popcorns is the way to go. We are now in a world where the organic and whole foods alternatives are the more preferred. And with good reason — going for the fake one can affect our health adversely. I’d highly recommend popcorn kernels that have low fat in them, those that are organically grown or the non-GMO popcorn kernels. The organically grown corn is also known for its environmentally-friendly component especially to the farmers who live and work with these cornfields. 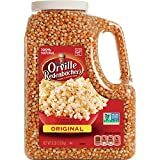 So if you're both wanting to lose weight and is on the lookout to make this earth a better place to dwell in, consider the most natural of popcorn kernels. As there are a thousand of alternatives out there, it’s so easy to get lost when choosing the best one in them. But in this case, I’m making an exception — get lost in them, seriously. This adventuresome journey should get you coming out with one thing that is crucial in your selection, and that is just the best out of all the popcorn kernel products in the competition now. Another good thing that should come out from this decision is that wherever you are, you’ll be able to determine which product or items are standing out among the rest, locally and internationally. And with this equipped information, you’re soon going to end up as your friends’ go-to, reliable source when it comes to the world of popcorn trivia. The first factor that you need to look for when you’re looking for popcorn kernels that can be made via a stove is its ability to withstand its heat. This should ensure that the kernel is cooked even before it opens up. In contrast, kernels that just soak up the oil without being cooked should result to pieces of popcorn that are both small and oil — a combination that spells failure. Oily popcorn means you cannot add much sweet flavorings to it. Oil will just resist sugar and chocolate coatings. This is why choosing the appropriate type of popcorn for your method cooking is crucial. Moreover, look for a popcorn kernel that looks rounder as opposed to ones that have an elongated shape. The former should cook just evenly and won’t absorb that much oil throughout its covering. A kernel that is cooked evenly would naturally pop with none of them resulting in overcooking or burning. Prepare a paper lunch bag, three tablespoons of unpopped kernels and a tablespoon of oil of your choosing. Place the kernels into the bag then pour the oil as you roll the bag closed. Shake the bag for a minute to coat the kernels evenly. Next, put the paper bag right inside the microwave. Heat it on full power for 1 minute and 30 seconds (90 seconds). Note: Whenever the time between pops exceeds two seconds, you may shut off the microwave and take the bag out, so your popcorn won’t burn. 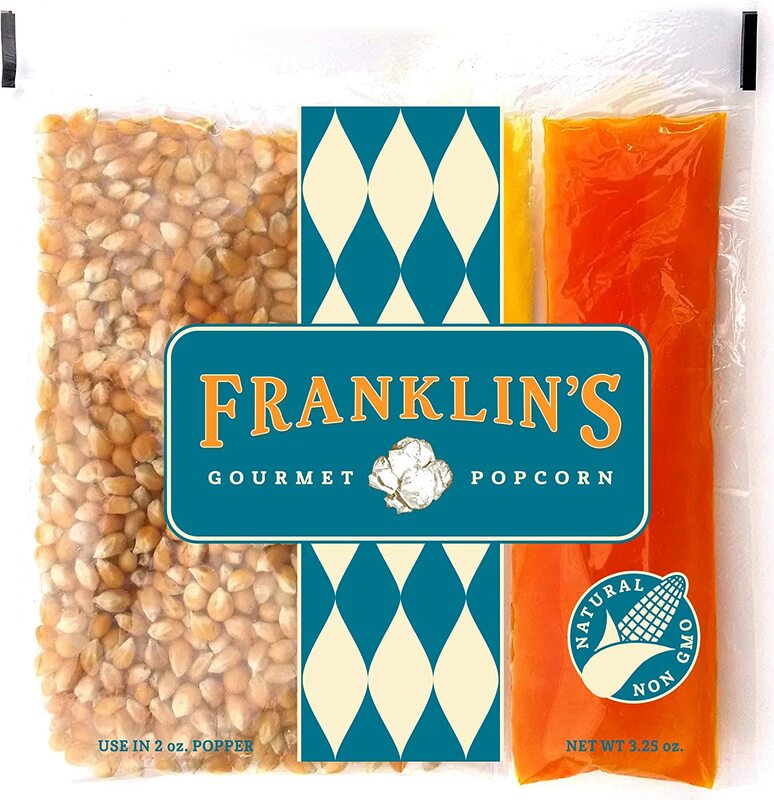 Dubbed as the best popcorn in the USA, it’s not that easy to fall for this product’s promise: and for all the right reasons — it delivers. Coming with a premium-quality gourmet popcorn, GNP’s kernels remain properly conditioned in specially designed storage bins. The product also uses an advanced equipment for conditioning and processing your prized popcorn. All of these culminate to the fact that your popcorn is meeting possibly the government’s highest standards. GNP also boasts of its distinctive blend of finer buttery flavored seasoned salt along with its proprietary low-melt oil — two tasteful hallmark features only this entry can deliver. Three words: A Healthy Snack! Our next entry is just screaming this phrase without an inch of hesitation. It’s gluten-free and is suitable for both the vegans and the vegetarians of the popcorn world. It includes 100% whole grain ingredient and is also high in fiber and kosher pareve. As such, this should give you an excellent source of dietary fiber. 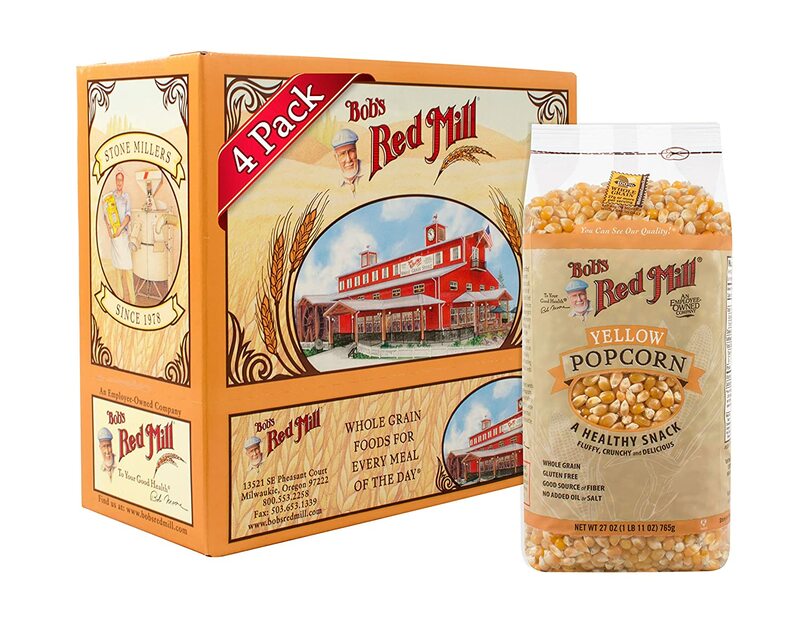 Bob’s Red Mill Corn Popcorn can also be popped on the stove or in your microwave or even in a popcorn machine with much ease. To add more to this treat, you can top it with butter, cinnamon, and sugar! Our third entry is surely ideal for those who just don’t have the time to measure things up. The only Franklin’s product on our list is toting a “no-measuring” mantra that will surely lure the frantic ones. 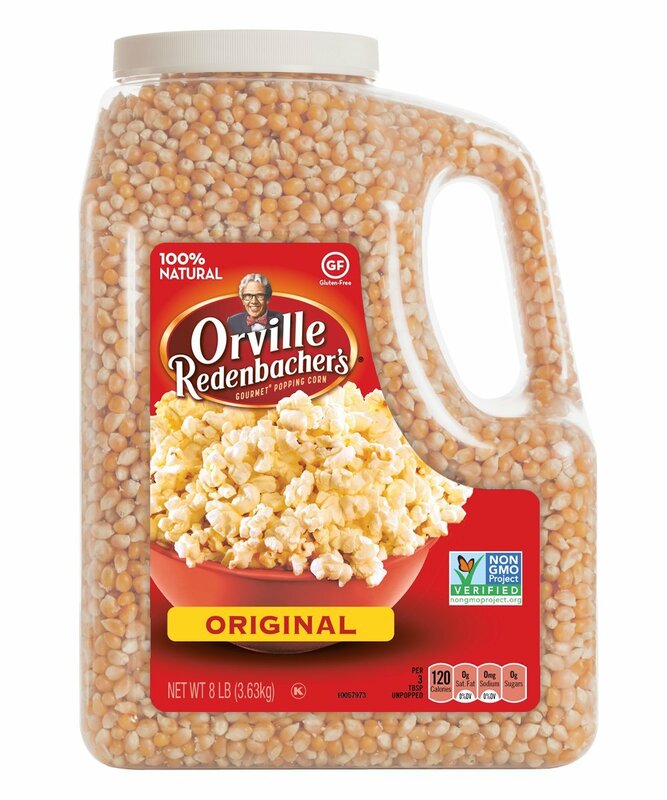 Each of its pack contains the pre-measured popcorn along with oil and seasoning salt. Adding to its pizzazz is its certified organic, non-GMO popcorn component that is only grown in Iowa and packaged in Wisconsin. It also has 100% pure coconut oil and features gluten, peanut, and soy-free ingredients. And as its label implies, this should quickly become like one of your “movie theater” popcorn favorites. This gluten-free, non-GMO and 100% whole grain kernels-toting entry is both light and fluffy. Its kernels are a premium when they pop — giving you a delicious offering that is only beaten by its crispiness and tenderness inside. Meanwhile, this is truly an ideal snack for everyone whether it’s on your stovetop, air popper or even an electric popper. 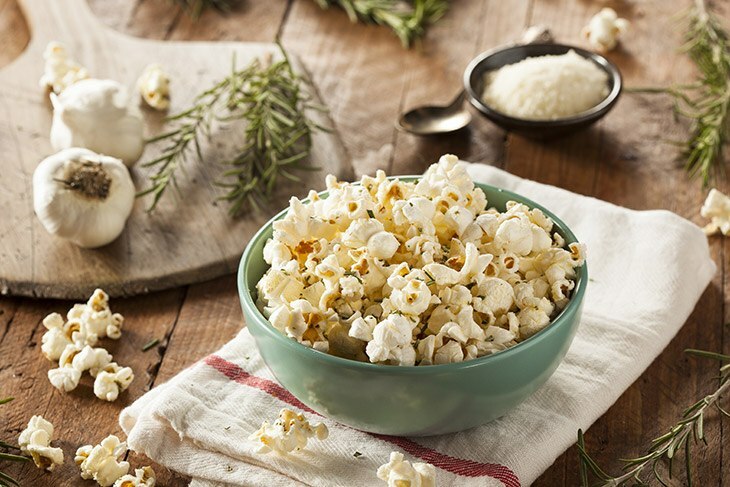 Cap your popcorn experience off by popping up a bowl and sprinkle it with a dash of your prized toppings to treat yourself and your friends’ classic popcorn cravings. JustPoppin’s contender features a popcorn variety that pops into round ball shapes. As such, it is a sin to butterfly-like popcorn shapes in this experience. 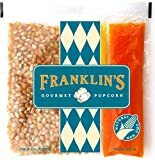 These kernels have been cultivated in years with its famed mushroom shape that should suit when you’re making your gourmet style popcorn whether it's caramel corn, Kettle corn, chocolate popcorn, or the more favorite, smoky torched candied popcorn. 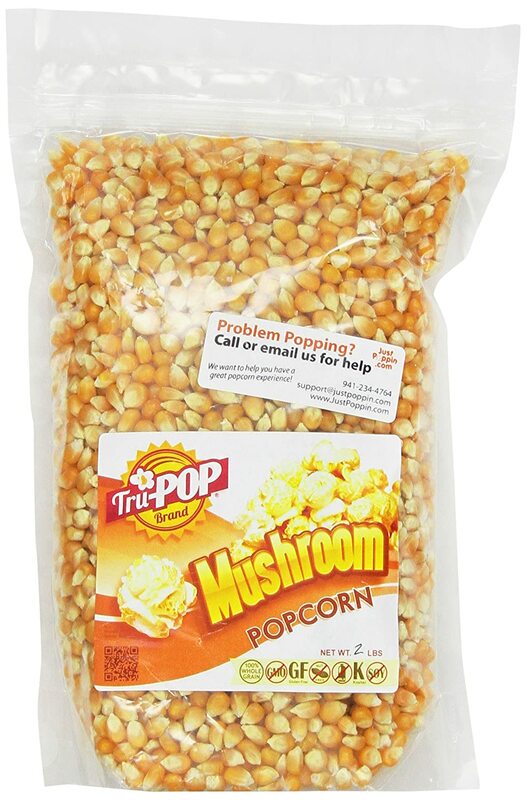 Mushroom Popcorn Kernels also go through an air-wash cleaning process that allows you to enjoy dirt-free popcorn kernels. Just Poppin’s offering is likewise allergen, gluten-free and has not been genetically modified. 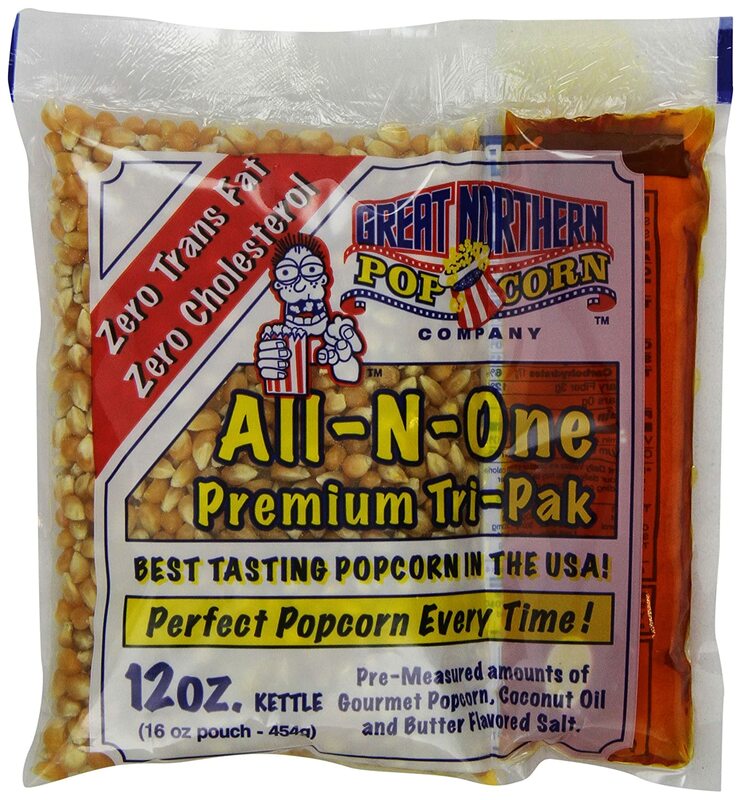 Your popcorn kernels in the Great Northern Popcorn just don’t get any straightforward than they’re retailed: simple, guaranteed to be tasteful, has a high-volume offering, hull-less and it’s also featuring a frustration-free type of packaging. All of these considerations make our first entry our front-line too among its stronger competition. And once you factor in its higher standards of producing popcorn kernels, you won’t even have second thoughts. If you think that I’ve missed a product that very much deserves a spot on our list or you just want to share your experience with your popcorn kernels, please sound them in the comment section below. Until then, enjoy popping!